It has been eight years since Jeff Green secured a win in the Bartercard NBL and it will be at least another week before he enjoys the taste of further success. 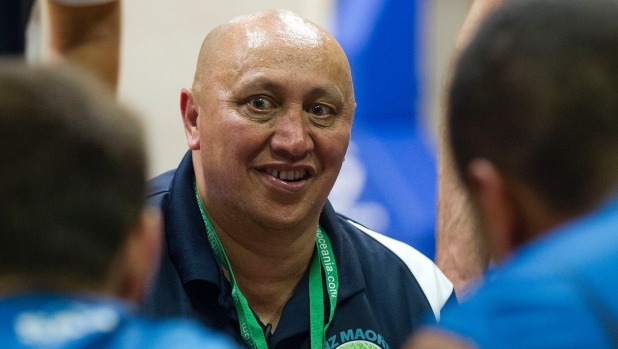 Green is back in the coaching saddle having not coached in the New Zealand National Basketball League since 2007. Green, at the helm of the James Blond Supercity Rangers, had a frustrating night as the Rangers opened their 2015 Bartercard National Basketball League season with a loss. They went down 90-98 against the Nelson Giants at Otara Recreation Centre on Good Friday. The Rangers made a solid start, with veteran Dillon Boucher scoring 7 early points, and led 23-20 at the end of the first quarter. Aussie import Tom Garlepp found foul trouble and was forced to look on as the Rangers gave up 26 points in the second quarter, trailing 46-43 at half-time. With their deep bench it was expected that the Rangers high tempo game would wear down the Giants in the second half but no one told veteran Phill Jones (11 points) and his team mates. Every time the Rangers made a move, most stimulated by point guard Jason Cadee (19points), the Giants would respond. In the final quarter the Rangers closed to within 3 points with 1:08 to play thanks to a Frank triple but when Hayden Allen was forced to commit an unsportsmanlike foul to stop a Nelson fast break Sam Dempster and then Dunkier were able to ice the game from the free throw line. Giants centre Josh Dunkier was immense (33pts/9rebs) and although the Rangers front court of Frank (20pts/9rebs) and Garlepp (14pts/9rebs) helped the Rangers win the rebounding count 44-38 the stat that mattered most was the scoring column and that remained in the Giants favour. The Giants were without star forward Mika Vukona, who was in the crowd watching on, but expect to have him available for the second round of games next week. Coach Green who admitted he had a largely sleepless night prior to the game may have a few more anxious nights before the Rangers take to the floor again next Friday.